Recently I attended Pattachitra workshop organized by Heart For Art and got the opportunity to learn this exquisite Indian art form. 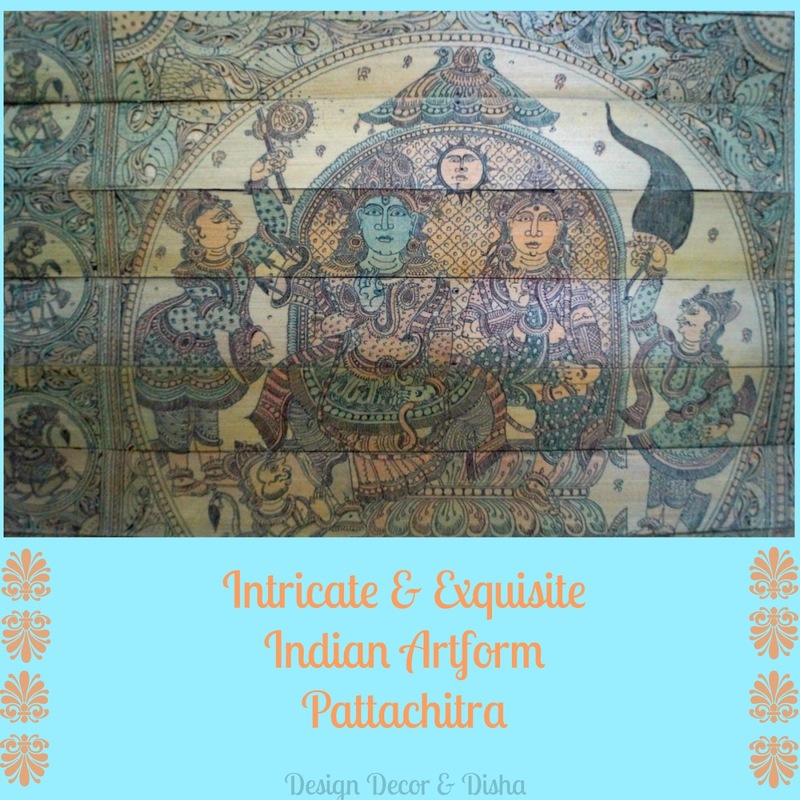 If you are coming across the term Pattachitra for the first time then I would suggest you to go through my earlier post on Pattachitra Paintings. 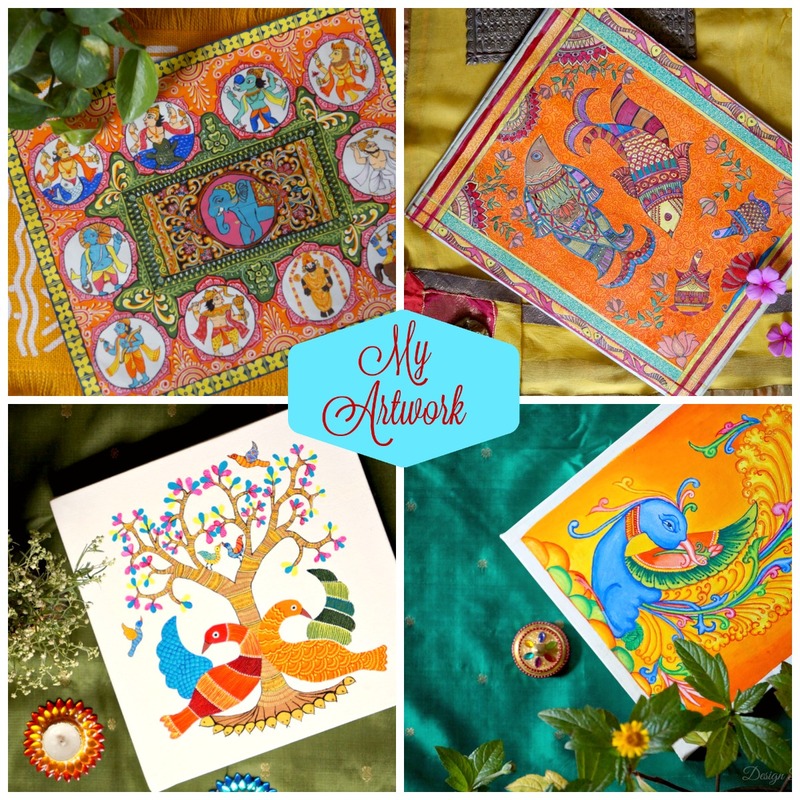 I would have never imagined the painstaking process involved in creating a Patachitra painting if I hadn't attended this workshop. Let me share my experience. Padmaja Jalihal, trustee and founder of 'Heart For Art Public Charitable Trust' contacted and invited me to attend the Pattachitra workshop -an initiative by Heart for Art supported by INTACH, Warsaa and Kaveri Kalakshetra is designed to increase awareness about India’s art & craft heritage in schools through one on one interaction between the artisans & students. Prafulla Kumar Moharana -a veteran Pattachitra artist and the winner of National Merit, Odisha State and Lalit Kala Academy awards conducts the workshops. I was so ready and excited as I have been planning to create a gallery wall in my home to display various Indian art forms done by me and so far I have made a Warli painting, Madhubani painting, Lippan work and now this Pattachitra painting to add to my ever growing painting collection. Instantly I said yes and reached the venue before time. Super excited I was!! Paintings were hanging on the walls and caught my fancy, the very first sight of them gave me goosebumps. I was thinking I wouldn't be able to make such fine art with so many details. But after seeing all the participants from all walks of life, I mustered up the courage and took my seat. Under the guidance of master Pattachitra artist, Prafulla Kumar Moharana, around 10-12 participants learned how to make this very intricate and wonderful painting. 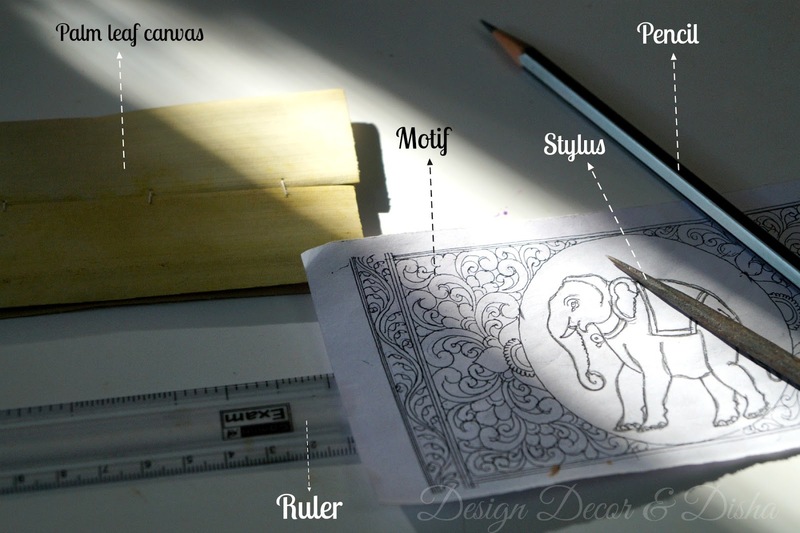 Supplies given to us were palm leaf canvas, stylus, pencil, ruler and beautiful motifs. We were explained how palm leaf canvas is prepared. It involves cutting palm leaves in rectangular shape, drying them in the sun, applying a coat of turmeric and neem oil to avoid wilting. Below is the picture of the motif I chose (because it was looking very beautiful, but I didn't realize that it will be too hard to draw and carve it on palm leaf later) and all the other supplies. With all the participants visibly excited, our class began. We were told to draw the given motif on palm leaf canvas and we all started drawing it using our pencils. It took a long time to draw such fine design on the leaf. After the first step was done we were ready and eager to know what would be the next step. Let me tell you this step was the most difficult one. When I started it seemed easy, but as I held the stylus in my hand and started carving on rough palm leaf surface I realized I can't even draw a neat line. But one gets better with practice. It took even longer than drawing to etch the design on palm leaf bookmark. This step is the last and easiest among all steps. 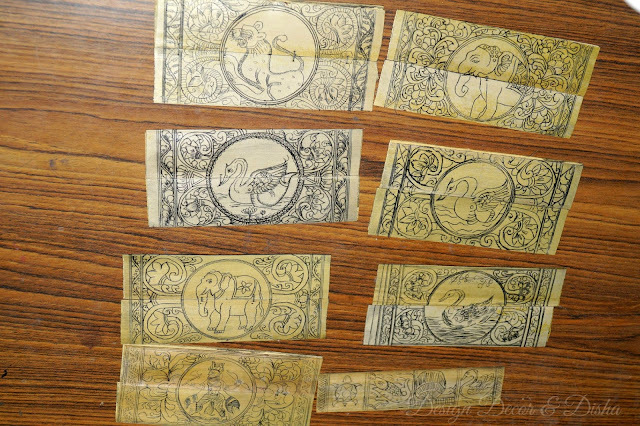 We all were told to etch our name on the reverse side of the bookmark and then engraved palm leaf bookmarks were colored using black ink. Preparation of black ink is also very interesting, soot is collected from a plate kept above the flame of the lamp. This soot is then mixed with oil and tamarind seed powder. 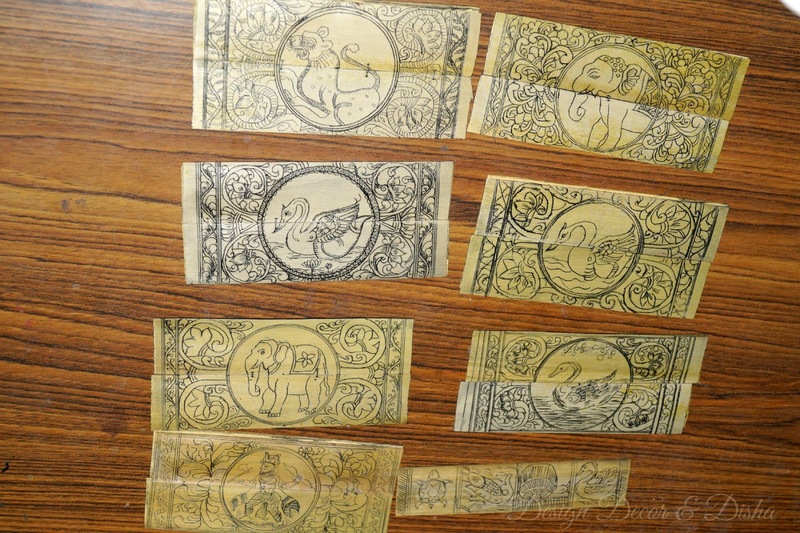 This ink was applied on all the palm leaf bookmarks and quickly rubbed off. This way grooves stand out distinctly. 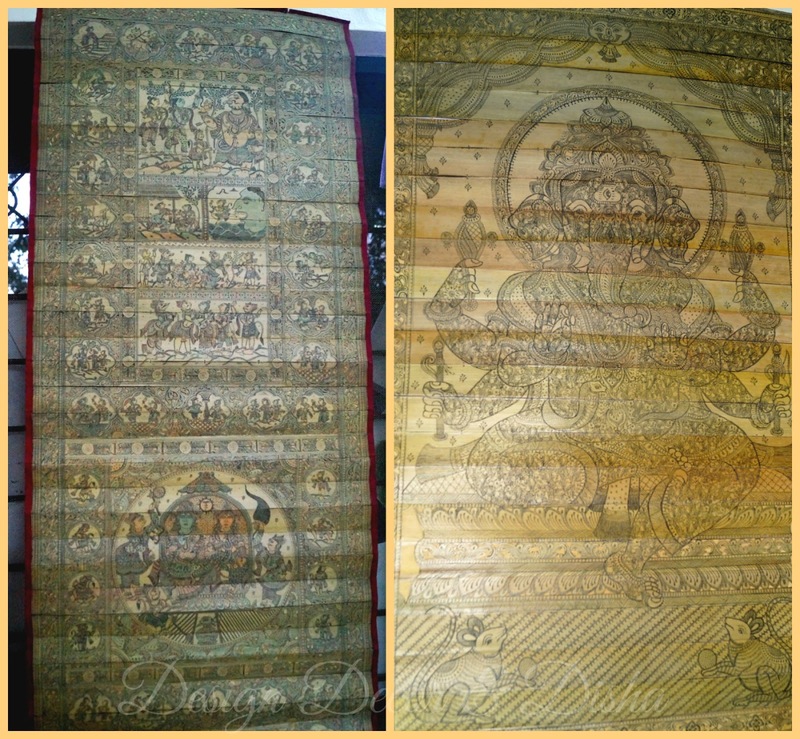 Pattachitra can be done in colors too. 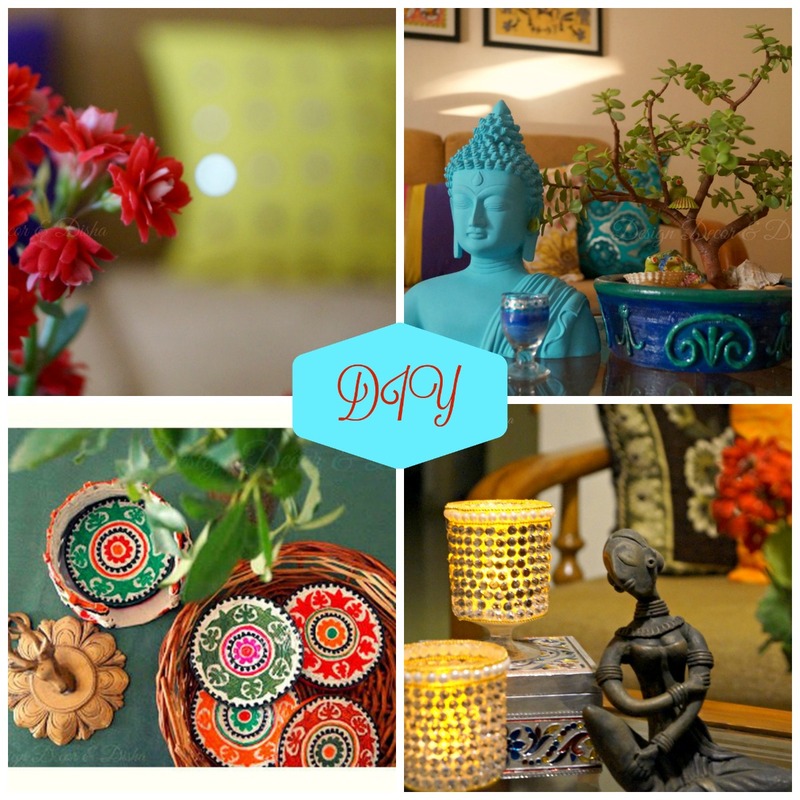 Colors used are always natural colors. 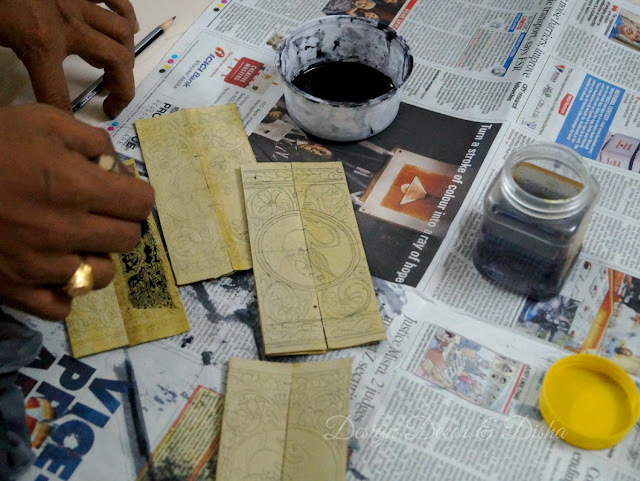 As we all were beginners we made basic and the easiest Pattachitra bookmarks. 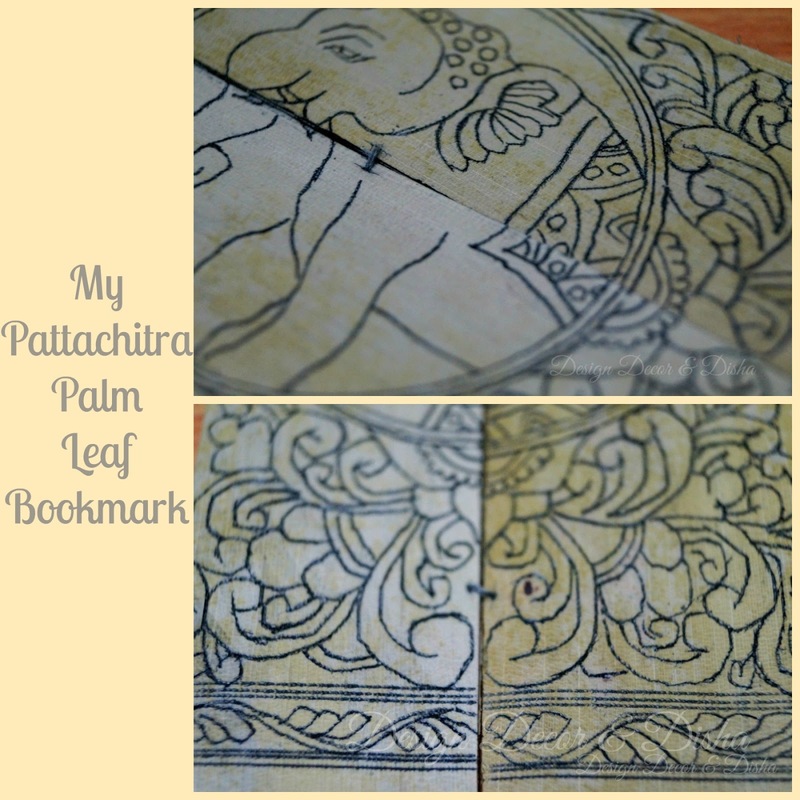 A closer look of my Pattachitra Bookmark. Thanks to 'Heart For Art' for giving this wonderful opportunity to learn this ancient Indian art form. 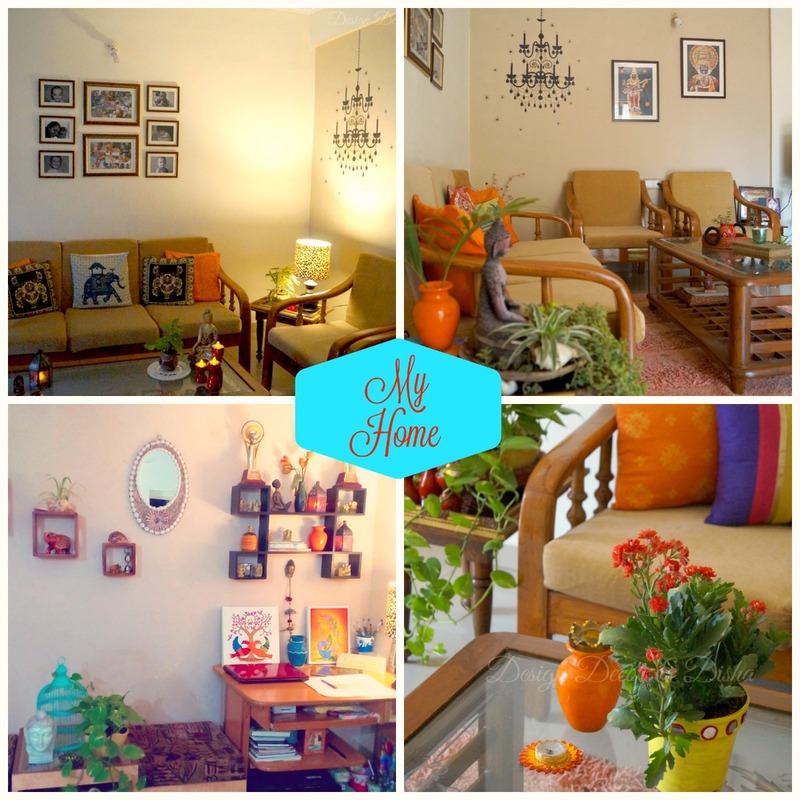 Hope you all enjoyed going through this step by step tutorial of Pattachitra painting. Now let me share the news with you, dear readers, that in association with 'Heart For Art' I am bringing to you a fun contest very soon. So stay tuned! !